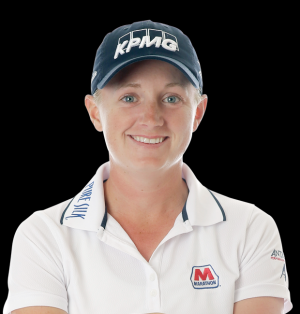 Stacy Lewis was born on the 16th February 1985, in Toledo, Ohio USA, and is a professional golfer who currently competes on the LPGA Tour, and so far has recorded 11 wins including two major championships – the 2011 Kraft Nabisco Championship, and Women’s British Open in 2013. Her career started in 2008. Have you ever wondered how rich Stacy Lewis is, as of early 2017? According to authoritative sources, it has been estimated that Lewis’ net worth is as high as $10 million, with over $11 million in winnings, and during which she has spent 25 weeks as No. 1 in the Women’s World Golf Rankings. Although born in Toledo, Ohio, she grew up in The Woodlands, outside Houston, Texas and went to The Woodlands High School, from which she matriculated in 2003. When she was younger she suffered from scoliosis and while in high school underwent surgery to repair her posture. After matriculation she enrolled at the University of Arkansas, and didn’t play golf in her first year in college, as she was recovering from the surgery, however, in her second year she became one of the best women golfers in her class, winning the Southeastern Conference Tournament, and was named SEC Freshman Golfer of the Year in 2005, and the next year she won the Women’s Western Amateur. In 2007 Stacy was the winner of the NCAA Division I Championship, and was selected the Golf Digest Amateur of the Year. The same year she won the LPGA NW Arkansas Championship, a professional LPGA tournament, however, her win was later rendered unofficial, since rain shortened the event. In 2008 she was a part of the Curtis Cup team, and during the tournament she became the first player to have 5-0 record in Curtis Cup singles; her team won the cup, defeating Great Britain & Ireland. Stacy then turned professional, and in her first season participated in seven events on the tour, and finished twice in the top 10, winning around $250,000. Little by little she improved her performance, and in 2011 won her first event, the Kraft Nabisco Championship. The following year was successful for her too, as she won four events – Mobile Bay LPGA Classic, ShopRite LPGA Classic, Navistar LPGA Classic, and Mizuno Classic, which considerably increased her net worth. She continued successfully in 2013, winning three events – HSBC Women’s Championship, RR Donnelley LPGA Founders Cup and Women’s British Open. Nothing changed in 2014, as she continued her dominance with three more victories, at the North Texas LPGA Shootout, ShopRite LPGA Classic and Walmart NW Arkansas Championship, and although losing two play-offs in 2015, she is steadily increasing further her net worth. Regarding her personal life, Stacy has been married to Gerrod Chadwell since 2016.